Lissa Bryan: Win a Signed Copy of the FINDING ANNA Series by Sherri Hayes! Win a Signed Copy of the FINDING ANNA Series by Sherri Hayes! 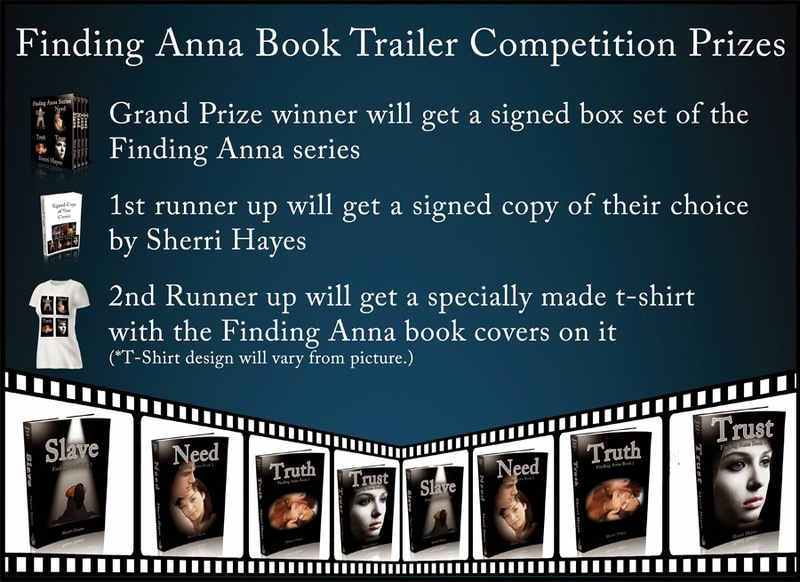 Want to win a signed copy of Sherri Hayes' Finding Anna Series (Slave, Need, Truth, and Trust)? During the month of April, Sherri will be running a contest on her blog (http://www.sherri-hayes.blogspot.com/). Step 2: Post it to Youtube. All video links much be received no later than April 15th. Starting on 4/18/14, Sherri will begin posting the video entries on her blog so people to vote on their favorites. On April 30th, a winner and two runners up will be chosen.